In this post we will look at what this means, and how you can use your data overview to get your IELTS Writing test off to a flying start. What is Academic Writing Task 1? Let’s start by going back to basics. In IELTS Academic Writing Task 1 is a “writing task of at least 150 words where the candidate must summarise, describe or explain a table, chart, graph or diagram.” Here’s an example (taken from Road to IELTS). What is an overview of the data? An overview statement will summarise the purpose of the graph(s) in one or two sentences. You can see how this has been done in the question in the task above: The graphs above give information about computer ownership as a percentage of the population between 2002 and 2010, and by level of education for the years 2002 and 2010. However, you will get no marks for simply repeating the words in the question. You need to put the overview into your own words. Spend some time looking at the graphs. Look at the labels on the X-axis and the Y-axis. Make sure you really understand the information that is being displayed. The information in the chart illustrates…. 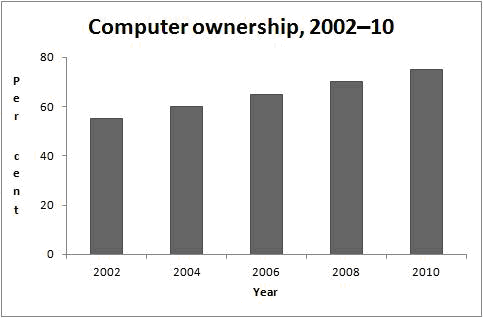 These graphs show the growth of computer ownership by education level between 2002 and 2010, and compare this with the growth of computer ownership overall for the same period. In both cases ownership is expressed as a percentage of the population as a whole. A. This chart shows average per capita wealth levels per country in four bands ranging from wealth levels lower than US$5,000 to higher than $100,000. B. This bar chart compares the projected percentage growth in the number of millionaires in 19 countries from now to 2019. C. The pie chart shows the current distribution of global wealth by region. D. This chart ranks the richest eight countries (from Switzerland to Singapore) by average per capita wealth. Now write an overview sentence for each of the two graphs below. You can see suggested answers at the bottom of the post. The graphs come from Clarity’s Practical Writing. 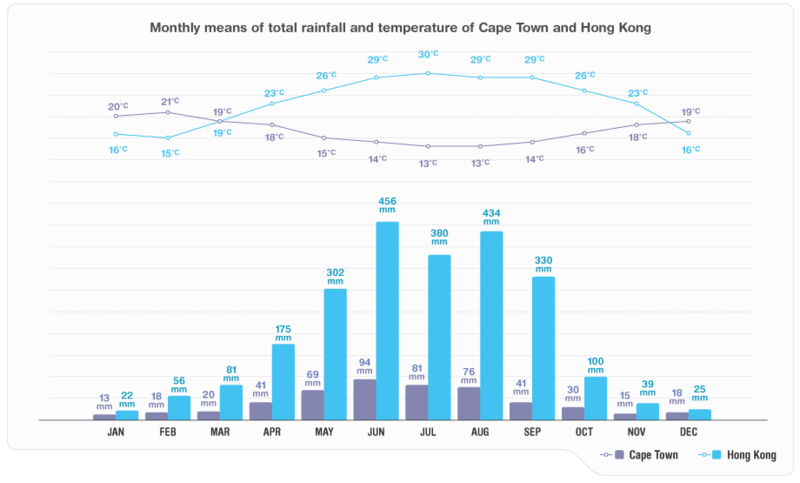 The graph looks at the monthly temperature and rainfall of Cape Town and Hong Kong over the year, and compares the two. This graph compares the change in age at which women in Australia first got married between 1970 and now. The data deals only with women who have been married at some point in their lives.